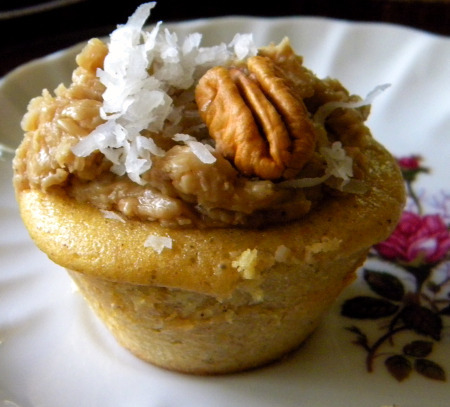 Browned Butter Banana Rum Cupcake Recipe! Listen to the creation of the music for Epic Mickey 2! Take a look at what the new iPhone 4-inch screen may look like and how it will change all the things you do on your current iPhone! 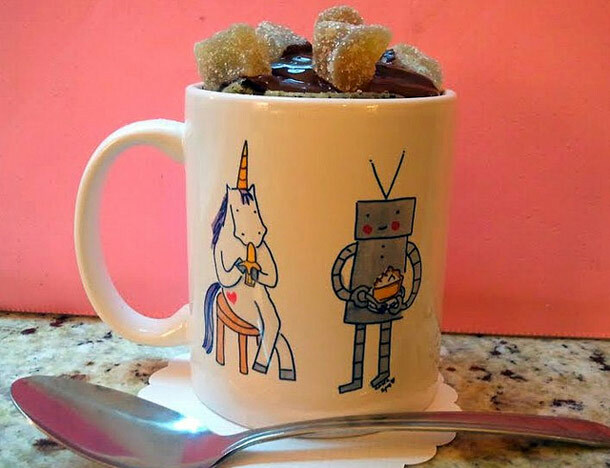 Microwave Chocolate Cake In A Mug Recipe! Place all of the dry ingredients in the mug and mix with a fork. Add the whisked egg and combine well--it will be pretty sticky at this point. Stir in the milk and oil until well combined. Add the chocolate chips, vanilla, and whatever other mix-ins you'd like. Microwave for 3 minutes in a 1000 watt microwave, or 4 minutes in a 700 watt oven. The cake will puff up in the mug while it bakes, but don't panic--it will deflate when you remove it from the heat. Note: If you are worried about spillage, or if you are using a smaller mug and it is looking pretty full, err on the side of caution and put a plate beneath the mug--this will save you possible cleanup woes later. Top the cake with confectioners' sugar or frosting or ice cream if you'd like, as well as any candy or garnish you'd like (I used candied ginger); you can either eat it straight from the mug, or turn it out onto a plate to enjoy. 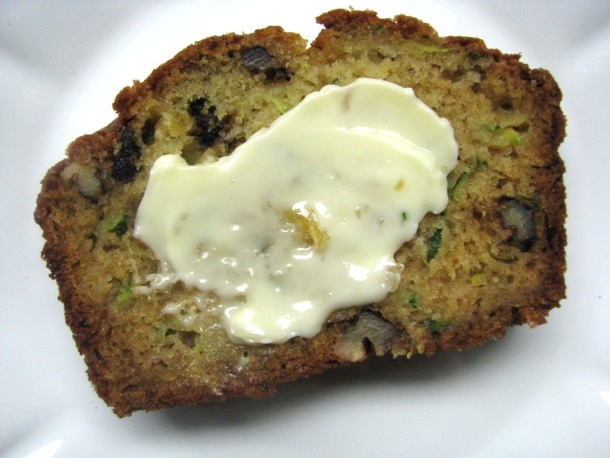 Adjust oven rack to middle position and preheat to 350° F. Butter an 8- by 4-inch loaf pan and set aside. In a large bowl whisk together flour, baking soda, baking powder, cinnamon and sugar. In a separate bowl combine vegetable oil, vanilla extract, zucchini and pineapple and mix with a wooded spoon until well combined. Mix together wet and dry ingredients and scrape into prepared loaf pan. Bake until thin knife inserted into center of bread comes out clean, about 1 hour. Allow to cool for 10 minutes in loaf pan, then remove from pan and place on a rack to cool completely. Slice and serve. Annual Passholders get an Exclusive First Look at "The Art of Frankenweenie Exhibition" at Disney California Adventure! Disneyland Resort Annual Passholders – we’re giving you the chance to preview “The Art of Frankenweenie Exhibition” before it opens at Disney California Adventure park! The preview will be Thursday, September 13, and there are two ways to see it. For more information, click here. Exhibition Dinner Package – Tickets on sale today through September 9! Thursday, September 13, from 7 p.m. – 1:30 a.m.
Thursday, September 13, from 8 p.m. – 12 a.m. Passes from Walt's Very Own Carolwood Railroad! Walt loved attention to detail and he created these tickets to give to each of his passengers for his Carolwood Railroad! Carolwood was the location of Walt's last home. Here he built a model railraod that he could sit on and give rides to friends and family. Each passenger also got a luggage tag! 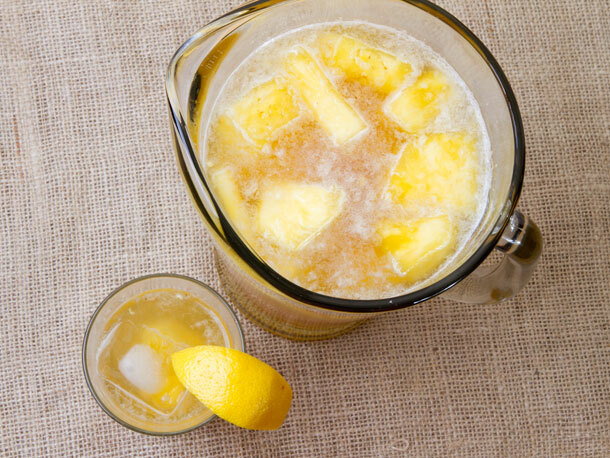 Combine tea, ice, rum, cane syrup, and lemon (if using) in a large pitcher just before serving. Stir well and serve in ice-filled glasses, garnished with a lemon wedge. Take a look at some of the concept art of the new Star Tours as well as Easter eggs hidden throughout the attraction! Take a first look at some of the play testing happening with the Enchanted Tales with Belle attraction for the New Fantasyland at The Magic Kingdom! Beauty and The Beast is my favorite Disney Animated Movie and this looks amazing! Mix hot water and sugar until sugar dissolves. Add pineapple chunks and stir, mashing pineapple lightly. 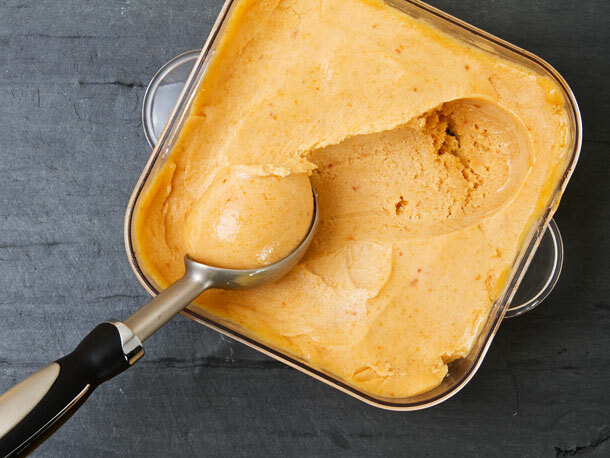 Let sit at room temperature 2 hours, or cover and refrigerate overnight to infuse. Transfer pineapple/sugar mixture to a large pitcher or punch bowl. Add rum and lemon and stir well. Add sparkling water, stir gently, then divide among ice-filled serving glasses. Serve, garnished with lemon wedges. Highlights of the Premiere of Fantasmic! With Glow In The Show ears! Watch the highlights from the Annual Paasholder Special Premiere of Disneyland's Fantasmic! With the new Glow In The Show light up ears! Combine peaches, lime juice, and sugar in a food processor and purée until very smooth with no large chunks. You should have about 1 quart of purée. Pour through a fine mesh strainer into an airtight container and add salt to taste. Press a piece of plastic wrap against surface of purée and chill for 2 to 3 hours, or until very cold. Churn in an ice cream maker according to manufacturer's instructions. Transfer to a container and chill in freezer for 2 to 3 hours, or until firm. My Visit to Historic Park City! Since I arrived early on Friday, the folks at Hyundai gave me a a couple of coupons to go and enjoy Historic Park City which is about 3 miles from the Hotel. Our driver to the Montage Deer Valley took us through Main Street and I was immediately hooked! Great historic buildings from this once major silver mining town were now combined with modern styled buildings. So, I went out the hotel door and the staff arranged for a driver to take me into Historic Park City! I shared the ride with fellow blogger Michael Sheehan (HighTechDad) and off we went! They even have a trolley to take you up and down Main Street. Here is the coupon for a free lunch! We were both told to try the No Name Saloon since they were one of the oldest establishments in town and were famous for their buffalo burgers! Buffalo is one of my favorite meats since it is so lean and flavorful! I guess that is the buffalo that we will be eating today! They had an option to eat upstairs. It was such a great day that we both decided to head up the stairs! Check out the view! My favorite things are the salon rules! Taking a long look at the menu here! Based on HightechDad's suggestion, I got a Cutthroat Ale on draft! Like a stronger NewCastle and it is a local favorite! I went with the Saloon Burger! Man was it messy but oh so good! Lots of cheese and grilled onions made this a winner! Oh and yes those are housemade chips! Cut thick too! I love the decor! Remind me to try this now that I'm at home! After a great lunch it was time to stroll around Main Street while we had a chance! I love the look of the Post Office! Taking a look at some of the more modern buildings along the street! Great photo op here with the bear! This moose is all dressed up with no place to go! We were also given a coupon to visit the museum! I am a sucker for learning and I'm glad we had time to visit! The museum opened in 2009 and has lots of hands-on experiences as well as multimedia ones! This is a scale model of what a typical silver mining operation looked like. The surface is way up top and I'm taking the photo of what it would look like from 900 feet below! Believe it or not this old mining railroad car was actually used to send skiers through the mine to the ski resort! No thanks! Way to scary for me! Here is the first hands-on exhibit. We got to detonate some dynamite! The jackhammer was another hands-on exhibit! The basement level of the museum was once the jail. Here you can flip through this book of wanted posters. The criminals come to life and tell you about their life of crime! Thankfully the jail toilet was not a hands-on exhibit! An old telephone switchboard. You can try your hands at being a switchboard operator! Not as easy as it appears! The old general store! Reminds me of Little House on the Prairie! A nice tribute to the local theater and then of course the Sundance Film Festival! Now this is the way to travel to the slopes! I wish I had more time to explore Historic Park City! There are lots of great restauarnats and shops! I could spend a few days here! I hope to come back soon! I thank the folks at Hyundai for including this as part of the Social Media Even! I'm even happier for taking advantage of it! Review of the Montage Deer Valley! The fine folks at Hyundai had us stay at the Montage Deer Valley! What an amazing experience this hotel provides! Here is the gorgeous lobby! Here is the door to my room! The first thing you see when you walk into the room! The large twin sinks in the bathroom! The incredible bathtub! I think I would have fallen asleep and not woken up! I love the rain fountain! I could have stood there for hours! The large bed that was incredibly soft and warm! The massive pillows were extremely soft as well! Each room has a fireplace and a 42 inch HD TV! Clearly you see how I was "roughing" it for the weekend! Just kidding! The room comes with a dvd player and also this plug-in unit for a blu-ray player or your iPod/iPhone or laptop! The view from my balcony! The beer is named after the Hotel's mascot Monty (short for Montage). I was sad that I didn't have any time to try to meet Monty. But the beer was amazing! Can someone send me a case or two? Or at least a photo of this lucky dog? LOL! During the reception we were treated to elk tartar. I honestly would have eaten all of them! They were so good! Now it was time for dinner! Here is the salad station! Here I found a true treasure! Beet Mac N Cheese! That's right beet mac n cheese! I am not a mac n cheese fan since I never grew up on it. I'm guessing it was part of the Japanese-American diet lol! This is another brilliant idea! The mashed potato bar! I want to have one of these for Thanksgiving! The carving station was next! They have an incredible Coca-Cola BBQ Sauce that they make themselves! Dare I say it is even better than the one they make at Flo's V8 Cafe in Disney California Adventure? It sure is! So besides the beer and the photo of Monty can someone also make sure I get a few gallons of this sauce? Please and thank you! Next was the buffalo and veal slider bar! Dessert brought us donuts! I love donuts! So this is the way to serve mashed potatoes! Smooth and creamy potatoes with mushrooms, grilled onions, chives and bacon! Super classy and a super fun way to eat! Here is the delicious beet mac n cheese! I could eat this forever! Here is all the meat from the carving station and that Coca-Cola BBQ Sauce! They even brought us desserts served as a dessert appetizer. Here are the PB&J cream puff with the Cookies and Cream cream puff! Light and delicious! Maybe donut places can start making these? Here are the cookies and cream push-pop and the raspberry cream cheese push-pop! Both full of flavor and I could eat these all day as well! The first two donuts are the lemon poppy donut and the maple bacon donut! The donut dough is far different than any donut I have ever had! These were much lighter and maybe someone can send me a few of these as well! The next two donuts are the whiskey glazed donut and the chocolate mint donut! Include these as well please! If that wasn't enough we were then escorted outdoors for the Montage's traditional s'mores evening! They make their own marshmallows and consist of vanilla bean, traditional, caramel, cinnamon and peppermint! And when I returned to my room after eating like a King, turn down service also brings you freshly made chocolates! Tonight's offering was huckleberry! I somehow managed to find room to eat them all! This was my good morning wake up call! For my last night, the chocolate offering was salted chocolate! I could stay here forever just for the chocolates! The Montage is the finest hotel I have ever stayed at! Their attention to detail is bar none! The friendliness of their staff goes far beyond Disney levels! Yes, surpasses Disney levels! When I went for lunch in Historic Park City, they had a driver take me there. When I was ready to head back, I just needed to tell them where I was out in front of and they picked me up there! Amazing service, incredible food and being out in Mother Nature make this a one of a kind hotel! I'll be lucky to come back again! Review of The 2013 Hyundai Santa Fe Sport! How a Horse becomes a Disneyland Horse! Wreck-It Ralph Character Development: Ralph! Review of The Odd Life of Timothy Green! Small Kid Time Recipes: Haupia! Blood Orange Citrus Cooler Recipe! 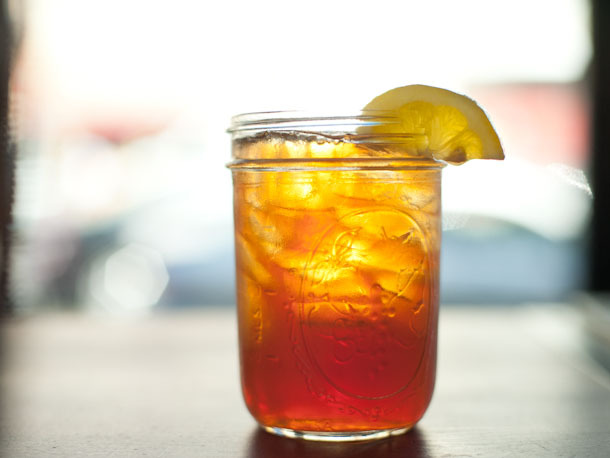 Sweet Vanilla Iced Tea Recipe! Eating The HUGE G Burger! Slow Cooker Apple Butter Recipe! Salted Caramel Banana Bread Pudding Recipe! 2-In-1 Cooler And BBQ Grill Giveaway! Olympic Photo That Has To Be Seen! Review of Honda-Ya in Fullerton: Yakitori! Inspiring: Meet Emma and Her "Magic Arms"